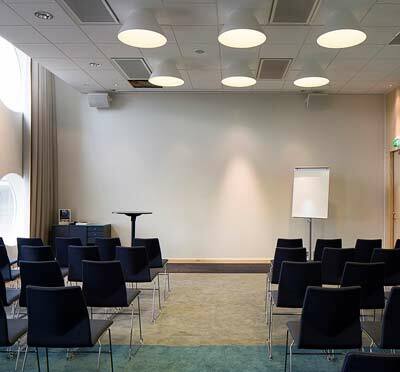 Quality Hotel Friends - world class living room - Solna 3 km north of Stockholm! Quality Hotel Friends invests in friendly meetings. 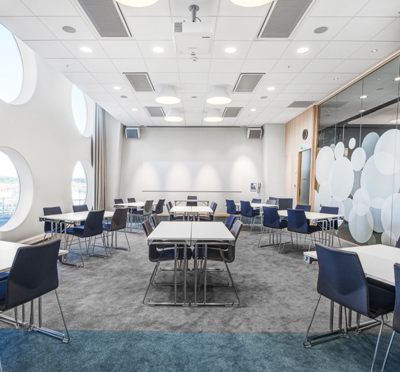 With the Friends Arena adjacent to the hotel, which cooperates with the anti-bullying organization Friends, you have capacity for events with up to 65 000 participants! Where should all these conference participants live? At Quality Hotel Friends, there are 400 rooms with flexible design that provide 1010 beds. The hotel rooms are decorated with softness and tranquility and natural color maps. 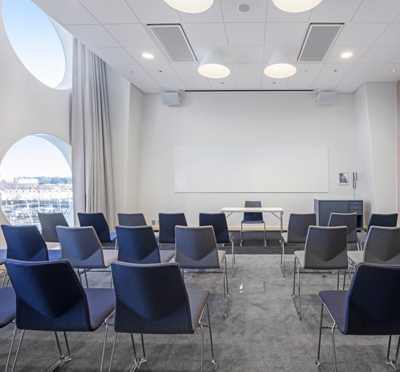 Beautifully circular windows provide a wide view of the Solna area and bring in a sense of space and freedom for the guest. For night-time workers, there are also desks in all rooms. 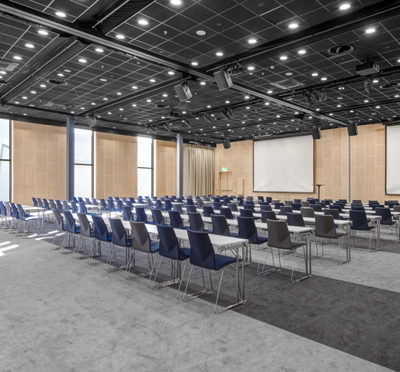 Meetings and events organized at Quality Hotel Friends rarely look the same. With meeting categories ranging from Small to Extra Large, everyone gets a seat. In the Stora Events Hall there is space for magnificent dinners or fairs for 1800 people. Here you can also divide the premises into five parts for a more intimate environment. 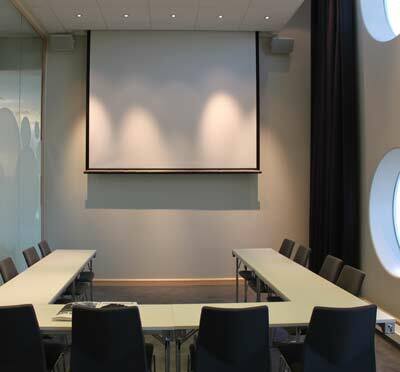 8 meters in ceiling height nevertheless provide a pretty good surface for different meetings. 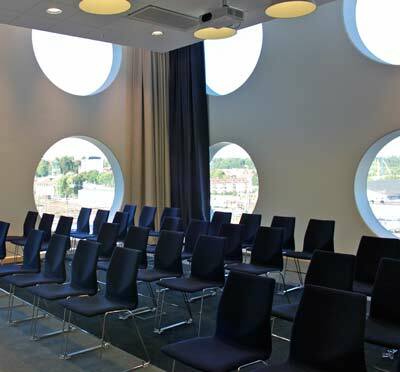 Quality Friend has 9 meeting rooms, 2 event rooms and the possibility to rent the logs at the Friends Arena. 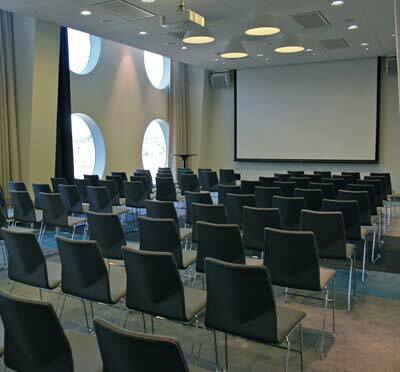 In addition, events can be organized in the adjacent Friends Arena at high ambitions! Gorurmet dinner offers are no problem for the chefs here. The twenty-fifth floor belongs to Brasserie X, the hotel's à la carte restaurant, where meals are served together with a most appetizing view! Solna is an expansive area close to access by both car and public transport. Have you been to Quality Hotel Friends and want to give your own comments?